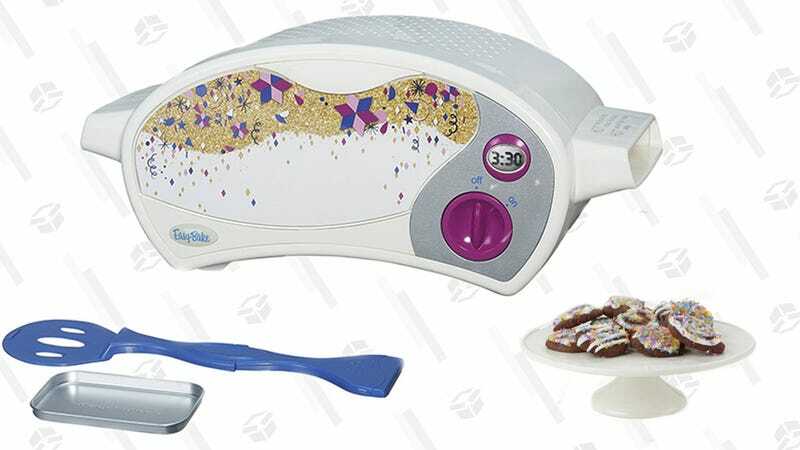 The Easy-Bake Oven has gotten an upgrade in the Ultimate Baking Star Edition. The modern new design is one thing, but the biggest change is an actual electric heating element. No more cooking with light bulbs! It’s perfect for an aspiring Top Chef Junior or MasterChef Junior or Super Best Most Amazing Chef Junior to flex those baking skills, since the miniature size batches will keep you from drowning in cookies and cakes. Just don’t be surprised if you still have to issue two or three reminders to clean up the dishes.